Exam Centres: The MAT exam is conducted in around 246 Institutes and Universities across the country. 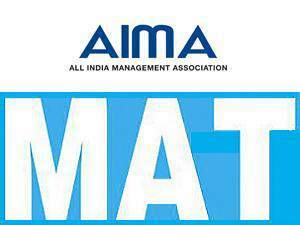 A list of the participating Institutes can be obtained from the official website of AIMA. Exam Centres Information: Details of Exam Centres will be available on the MAT 2019 Admit Card. Totally MAT 2019 May Exam will be held in 59 Cities around the country. NOTE: For Test Centers Abroad, check the Official MAT Website. Are there any exam centers for MAT outside India (abroad)? In which centers is MAT held in Karnataka? Will the MAT exam be held in Guwahati? Yes, the MAT exam will be held in Guwahati. Where is the MAT exam held in Andhra Pradesh? Is MAT held all over the country what about a person living abroad? Can he/she apply for it? MAT 2017 examination is conducted in all major cities in the country and in leading cities abroad. In which centers is MAT held in West Bengal? Is MAT exam conducted all over India? MAT is conducted in almost all the states of India. The exam is conducted in around 246 centres in total. In which centres is the MAT 2017 held in Karnataka?